I enjoy writing my stories, getting to know my characters as the pages unfold. Their challenges become my own; their triumphs - as rewarding for me as for them. When the stories are published I enjoy sharing the wonderful news with you. When I read a review posted online, or someone shares thoughts through a private message, it excites me as few things do in this writing world I've come to call home. However, on occasion, it's refreshing to let you hear another person's voice sharing thoughts about one of my stories. 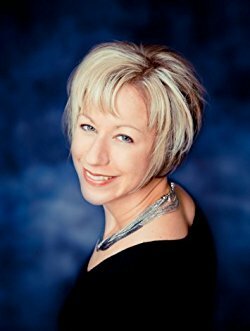 At this time, I'm going to allow Debbie Grainger, an Amazon reviewer of The Prayer (The Wish Trilogy: Book One) to tell you what she felt about the story in her own words - thoughts she decided to share beyond the scope of her review. "The Prayer was mesmerizing – one of the few books I've read that, each time I thought I knew what was going to happen, something else happened instead. It would totally throw me off balance, but in a good way. "The interaction between the characters was amazing. It felt like I was watching a movie. The writing flowed so smoothly, I could picture everything; it felt like I was witnessing what was happening in reality. "The characters – Sierra, Tamara, Katarina, Doc Brady, Paige, Janetta, Hunter – each had a purpose that contributed to the fullness of the story. They weren't just extra characters tossed into the story; to remove even one, the story wouldn't have been the same. "After I finished reading The Prayer, I couldn't stop thinking about it. There were questions which plagued my mind. Could I truly fall in love with a person who can't see me, can't feel me, possibly can't even hear my voice? Could I fall in love with two people at the same time? I know a child can capture my heart so that's not even a question, but could a child's conviction change my heart and mind? "There are so many elements to The Prayer; it has to be one of the best books I've ever read and I am dying to read The Journey, the second book of the trilogy." I'd like to thank Debbie for taking some time to share her thoughts with us here at Norma's Books. I can't speak for you but I find myself drawn into the same questions plaguing her mind. Look at the first question: could you imagine yourself in such a situation? Feel free to share your thoughts below. When I was a little boy, I had no idea what the term, Soul Confessions, meant. I enjoyed my life; it was as good as any boy could ever hope to have. My parents doted on me, but they didn't spoil me. When we went into a store, I didn't get everything I asked for, but I was rich in the time they spent with me, in the values they instilled in me from an early age. Mom spent more time with me than Dad, though, because she stayed home to look after me and, a few years later, my brother. Dad was a judge and it kept him busy, but his love for us was absolute no matter how much time he spent away from his family. I remember Dad and I going on fishing trips with one of his friends. My brother didn't come because he was too young so I got Dad to myself during those occasions. I was also the one helping Dad cook when we would have barbecues. I helped him drag the Christmas tree into the house and went to the garage with him when the car needed to be repaired. Sometimes it would be the two of us who went grocery shopping just to give Mom a break. Dad would be the one to sit me on his knee and read the Children's Bible, whereas Mom read me nursery rhymes. Dad was the one who taught me to talk to God, said I could tell Him about anything. He said I could share happy feelings with God as well as feelings and thoughts that made me sad. I still didn't know what Soul Confessions were, at this point in my life, but I knew what love in action was; I saw it every day in the relationship between my parents. I loved my dad. In my mind, he was the perfect example of what a father should be. He was my hero. Imagine how I felt when we were at the park one morning and he was shot and killed in front of me from a sniper's bullet. I still remember the scream that rose from me, still remember the blood. It was the last image I had of my father and, sadly, the image remains with me no matter how hard I try to remember how he looked before that fatal moment. I know Mom was grieving from her heart, even her soul. I must confess it was made more difficult because she was worried about me. She took me to many counsellors but it was pointless. Nothing could penetrate the sorrow I felt, could eradicate the horrific memory of the last morning spent with my father. I'd wake from nightmares each night, without exception. I blamed God; He shouldn't have let me see my dad get killed and, because I did, it was something that scarred me forever. As I grew, Mom tried her hardest to convince me not to let anger control my life, but it didn't matter. I swore I would find the man who killed my father, who robbed me of my childhood. I didn't know what I would do when I found him, but I was determined that even God wouldn't stand in my way. I knew what Soul Confessions were, at this point, but rest assured none would arise from me. I didn't even feel I had a soul left for a confession to come from because I had grown so bitter and angry. Knowing Dad would be so disappointed in the way my attitude toward God had shifted, that I had forsaken everything he tried to teach me as I sat upon his knee, didn't even penetrate the hardness which had settled inside of me. Yeah, you could say I had a chip on my shoulder - as big a chip as anyone could have, I suppose. The strangest thing happened to me, though - something I didn't expect and it changed my life forever. I'd like to think Dad might be prouder of me now. If you would like to learn the rest of my story, come over to Soul Confessions' page on Amazon; it's the third book of Norma Budden's Freedom in Love series, but I'd be remiss in not inviting you to check out the preceding titles, An Affair to Remember and When Love Abides. Anyway, thanks for listening as I shared a little with you about my life. Who knows? I may be back to share a little more with you at a later date. What elements make for an intriguing story? That answer differs for every reader but, for me, I love a story with a lot of mystery and intrigue that keeps me guessing about ‘who dun it’ until the very end. Norma Budden’s novel, ﻿An Affair to Remember﻿, fit the bill for me. “Affair” opens with information about a man who has lived in the shadows and his mission to protect Monica Townsend, the book’s main character. We learn that this man of mystery would die before breaking this pact that he had made many years ago. This information, revealed in the first paragraph, had me hooked. Who was this man? Why did he live in the shadows? How does he know Monica and why does he feel compelled to protect her? What pact did he make years ago; why did he make it and why is he willing to die for it? All of these questions made it very hard to put this book down. I think this was an excellent example of an opening paragraph for a novel since it gripped my attention and made me want to keep reading. As I continued reading, I couldn’t help but wonder about the identity of the mystery man. Norma offered up plenty of clues with various characters to keep me guessing through the first half of the novel. So who was the mystery man? You’ll have to read the book to find out! But here are some of my guesses before I learned his identity. When you first read about Monica’s father, you learn that he’s dead. Or is he? I surmised that maybe he faked his death. Or maybe he had done something so sinister that Monica’s mother thought it better that she grew up believing her father was dead but he really wasn’t. In chapter 3, Monica’s mother recalls her husband’s funeral, but I still couldn’t help but wonder if it was all a ruse especially after learning about his bad guy skills. If Monica’s father was dead, maybe Mystery Man was a friend of her father who had vowed to watch over a young Monica. If this was the case, why would he vow to do this in silence or do this in the first place? What was Monica’s father tangled up in? Is Mystery Man tangled up in the same affair and is this the reason he has to keep his distance from Monica in order to ensure her safety? Could the mystery man be Monica’s secret admirer, someone who was just as shy as Monica, and who - like her - had not gotten close to anyone in his life? Could this admirer have been someone that lived near Monica and had kept a watchful eye over her? Early on in "Affair" you meet Chase, the handsomely rugged cop that takes on Monica’s case. In chapters 1 and 2, I had a fleeting thought that Chase could possibly be Mystery Man, but I struck that theory once Chase arrived at the warehouse scene. At this point, it seemed Mystery Man and Chase were different people - unless Chase had a split personality! If you enjoy reading books packed with mystery, suspense and a little romance, then I highly recommend you pick up An Affair to Remember and be prepared to not be able to easily put the book down! If that’s not enough to hook you, you won’t believe the ending! I didn’t. In fact, I had to read it twice because I couldn’t believe it! You can read the review I posted on Amazon by clicking here. I hope you enjoy this story and discovering the identity of the mystery man as much as I did. I look forward to reading the sequel in this series! Kelley Grealis is the author of The Descendant Vampire Series which includes The Descendant, The Search and The Truth. You can buy the Kindle boxed set at Amazon. Kelley lives in a suburb of Cleveland, Ohio with her husband and two cats. ​When not working her day job, Kelly enjoys motorcycle and ATV riding, gardening, reading, and dreaming up the next story she plans to write. She is a graduate of Baldwin-Wallace College and Cleveland State University.